I enjoyed the first of Tony Ballantyne’s Penrose series Twisted Metal last year. The book ended with all of the characters’ stories unfinished, but also with lots of questions about the robot inhabitants of Penrose unanswered. 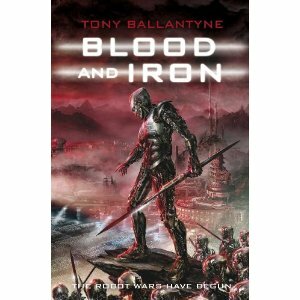 Blood and Iron continues where the previous volume left off, developing the characters further and beginning to unravel the mysteries of the robotic life forms.